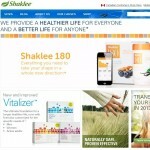 “Shaklee”, by Roger Barnett and found at shaklee.com, is a health and beauty aids company that uses multi-level marketing as its model for distribution, sales and promotions. As we always say mlm is seldom recommended here, and Shaklee is no different. That being said, Shaklee does have decent products and has been around a very long time. It is a testament to them that they’ve outlasted many others through the decades since 1956. However, just because they’ve endured for so long does not guarantee that you will by being their distributor. Here is one reason why. A government committee came up with some disturbing figures after taking a good hard look at its practices. This is what they came up with in a nutshell: the average Shaklee distributor makes less than $800 per year yet spends several thousands more than they make. Yet a Shaklee brochure claims that distrubutor incomes of between about 85k and a little over a quarter mil a year.$276,480/year. Since they report about half a million in annual sales, yet there are almost three quarter mil distributing their goods, well, you can see the math does not go in their distributors’ favor. Bottom line, you will not make money with this product as a bottom feeder, but Shaklee will do spectacularly well. This is due to the fact that they only share the income information of the top one percent of its distributors, lending credence to our saying that the majority of people that fail at mlm are the 99% below them. Unless you are a magnetic cult like leader with followers that would buy a clump of dirt from you for ten times the price, chances are you won’t be in that one percent I’m sorry to say. But if you feel like buying a fifty dollar gallon of laundry detergent from them along with the other overpriced, though decent quality, products,then by all means, feel free to do so. Shaklee is not a business we will ever recommend here. Thank you for another informative blog. The place else could I am getting that kind of info written in such an ideal manner?